Hiab, part of Cargotec, has announced the introduction of a new high capacity crane, the HIAB X-HiPro 858. The latest addition to Hiab's new range of heavy lift cranes, the 858 provides customers with a highly productive and reliable solution for heavy duty load handling. Featuring a lift capacity of 80tm and an outreach of 34.5m in the horizontal plane; (38m on the vertical plane); the 858 provides tremendous versatility across a number of applications. Designed with the operator in mind, the 858 has simple controls that are easy to use and deliver smooth and precise manoeuvrability. The HIAB X-HiPro also features a remote control display and an additional external display mounted on the base. Here the driver can see crane capacity information for each angle of the jib, depending upon the stability of the truck, a major contributor to safe operation. Josep Salavedra Ciurana, of Transgruas J. Salavedra in Girona, Spain, said: "The HIAB X-HiPro is clearly the most powerful crane we have operated. It takes performance to new levels and has tremendous flexibility. Even at full reach, the articulation of the jib in high positions is very impressive. The first thing you notice is how precise and smooth the manoeuvrability of the jib is." "From a commercial viewpoint, the HIAB X-HiPro is a sound business proposition. Given the versatility of the fixing system it means I can now use the same truck for 2 or 3 different applications. It reduces the investment in different trucks and also indirect costs, like maintenance, for my business. 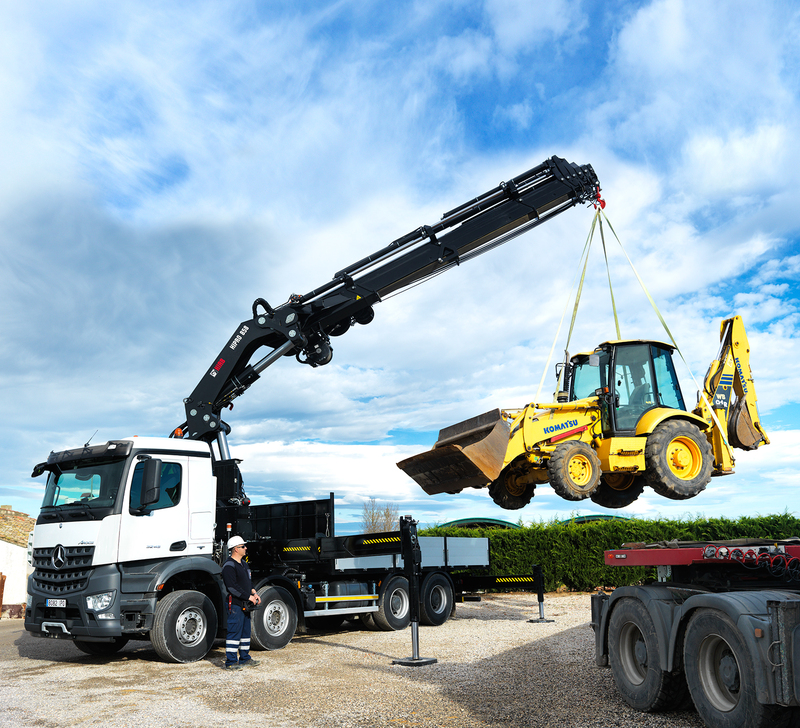 It's also important to have a trusted business partner like Hiab. I have always found that Hiab personnel try hard to meet my needs precisely and the support of the local team here in Spain is excellent." Sergio Peiró, Product Manager Hiab Loader Cranes, Heavy range, commented: "Hiab's strategy is to provide our customers with a range of heavy lift crane solutions. The new HIAB X-HiPro 858 and the recently launched 90tm HIAB X- HiPro1058 really set the standard for the market and we are delighted in the customer endorsements we are receiving."